The meeting will include informative presentations delivered by world-renowned dedicated speakers and researchers. The meeting will promote expertise and communicate knowledge across fields as well as foster new relationships across the region and establish networks among fellow surgeons. We are looking forward to seeing you and bringing you a fruitful, memorable meeting filled with outstanding academic contents in Korea. The Spine Society of Australia is proud to promote the exchange of scientific knowledge and strengthen friendships amongst those who work in the complex and challenging field of spinal disorders. Under the guidance of the Society’s Scientific Secretary, Professor Brian Freeman, we look forward to an outstanding scientific program. The Scientific Program Committee has curated a stellar cast of not-to-be-missed national and international speakers including: Professor Beth Darnall (Department of Anesthesiology, Stanford University: prevention of post surgical pain, targeted psychological strategies, opiod reduction); Dr Nanna Finnerup (Department of Clinical Medicine, Aarhus University, Denmark: pathophysiology and therapy of neuropathic pain); and Professor Tor Wager (Cognitive and Affective Neuroscience laboratory, University of Colorado: neurophysiology of pain and emotion, affective learning, and brain-body communication). The Theme of the Radiology and Oncology -2019 is “Practice, Research & Leadership: Weaving it all together "which covers the wide range of critically important sessions in the field of Oncology, Radiology, Cancer, and Imaging. This multidisciplinary multi-specialty oncology course will cover all aspects of cancer imaging and intervention. 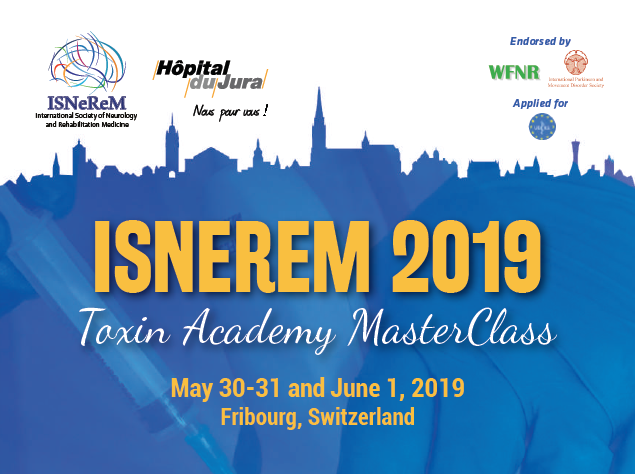 The objective of this meeting is to share the foremost updated knowledge on the radiology and the novel therapeutic options in Cancer treatment. Our prospective audience includes radiologists, oncologists, researcher, professors, medical students, physicians, medical physicists, clinical scientists, technologists, and other healthcare professionals. Aim: This 1 ½ day course is intended to help those Spinal Surgeons and Fellows who are interested in improving their MIS surgery skills. It will benefit those who have had some exposure to placing MIS pedicle screws in the lumbar spine and wish to expand their practice. Friday afternoon will comprise lectures, with a dinner in the evening and Saturday will be in a cadaveric lab setting. Delegates will be offered basic or advanced technique practice as appropriate. The course is limited to 12 people only. The CSRS Europe is one of the leading specialised spine societies. We are expecting around 300 surgeons and scientists from the field of cervical spine surgery, with a focus on the key topic Traumatology of the cervical spine. The ISPRM Annual Congress is an international event that promotes awareness about physical disabilities, PRM research and best practices. It works as a hub for medicine professionals and students to meet and exchange knowledge. The scientific program will include interactive workshops, stimulating debates and more. This year's congress will be held in Kobe, Japan. Join us at the 13th World Congress of the International Society of Physical and Rehabilitation Medicine (ISPRM) that promises an exciting programme in a dynamic environment! Neurologists Congress 2019 invites all the participants and attendees from all over the world to attend 28th Euro-Global Neurologists Meeting during June 13 - 14, 2019 to be held at Barcelona, Spain with the Theme: Action potential & synapses - Current challenges and innovations in the field of Neuroscience, which includes prompt Keynote Presentations, Oral talks, Poster Presentations, Workshop, Symposium and Exhibitions. Avail group registration..! The 2019 ANZSCoS conference committee invites you to attend the Annual Scientific Meeting in Melbourne and to participate in discussion around our theme of Working Together Now & Tomorrow. The conference program will address the burning issues, questions and answers for people with spinal cord injury, clinicians, carers and funders, today and in the future. 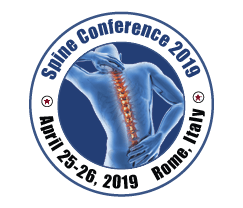 We continue to grow this conference and welcome anyone with an interest in Spinal Cord Injury to attend. The conference provides a great forum of exchanging knowledge, research and networking with your peers and industry leaders. 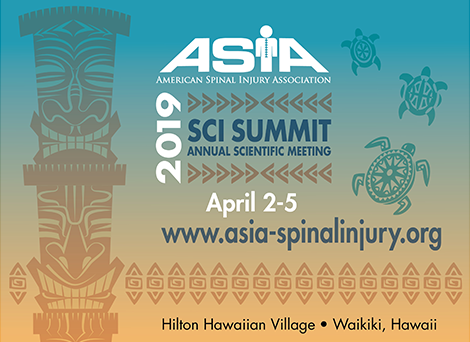 We have a great line up of speakers to present the latest advances in SCI from Australia and around the world to ensure you keep up to date with all the latest developments. For further information, please contact the ANZCoS Conference Secretariat at anzcos2019@dcconferences.com.au or via phone +61 2 9954 4400. The Prince of Wales Hospital Sydney's Spinal MAsterCLASS returns this year (Sept 13-15th) after overwhelming feedback from the inaugural course last year. Subject experts from our Centre will present this interactive course. This course is aimed at providing a Practical overview of SCI management. This would be useful for Rehab Registrars, Rehab Specialists and other specialists who would like to brush up their knowledge in SCI health needs, Allied Health and Nursing staff who are involved in the care of SCI patients. Please, check the brochure for further information to Register. 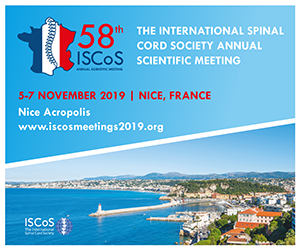 “The 58th International Spinal Cord Society Annual Scientific Meeting, ISCoS 2019, will take place in Nice, France from 5-7 November 2019. Aim: This two day course of clinically based lectures and interactive case based discussion addressing all areas of Spinal Imaging (including Trauma) serves as a focus to facilitate problem solving in the spine, utilising the various imaging modalities and their application in a number of pathological scenarios. A series of lectures delivered by a Faculty including Musculoskeletal Radiologists, Spinal Surgeons and Specialists in Spinal Injury, followed by interactive case based sessions with dedicated film reading and discussion.